The Q1 BDRC Landlords Panel has shown that 78% of those surveyed have a significant requirement for advice on landlord matters rising to 89% for those owning more than 11 properties. According to the report, recent changes to legislation and tax have only fuelled landlords’ desire for more help and advice, with 46% saying they were finding it difficult to keep up with changes to legislation and a further 43% saying they were worried about the impact of Universal Credit on the Private Rented Sector (PRS). Obviously Property Tribes, but I also like Landlord Referencing, Property118, LandlordZone, and the Landlord Group on LinkedIn run by the lovely Samantha Collett. 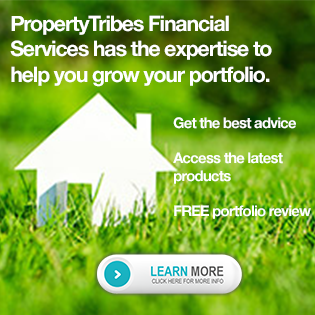 I naturally recommend the one from Property Tribes Financial Services. 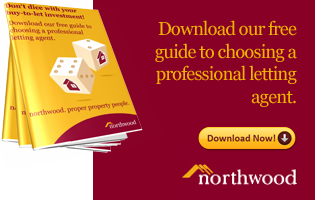 Property Investor News is the leading publication for landlords. We recommend the Imfuna digital inventory & property inspection tool to help landlords produce a robust and highly detailed inventory that has been proven to stop deposit disputes in their tracks. We like the new low-cost (£4.99) tenant screening product from Landlord Referencing. 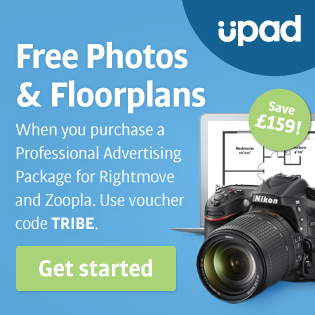 Property Tribes Lease Extensions has a free calculator to help you work out how much it would cost to extend a lease. 9. Tenants in Arrears Helpline. Landlord Action has fielded over 212,000 calls to their free helpline on 0333 240 9770. There are many networking events up and down the country that you can find on our Events page. We recommend our legal partner, Anthony Gold Law, who specialise in property transactions and legal issues. 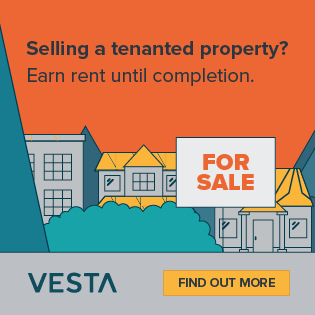 Our Tax partner is Rental Income Tax Advisors, who specialise in Landlord tax and are also the tax partner of the Residential Landlord Association. You can call RITA on 0844 4145 120. FREE tax record keeping spreadsheet available from RITA. 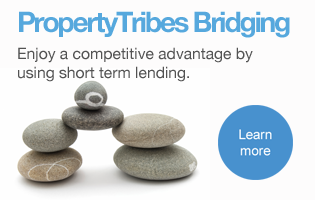 Property Tribes Bridging has access to the whole of market short term lending products and can also arrange your exit refinance. Give the PTB team a call on 01206 654444. 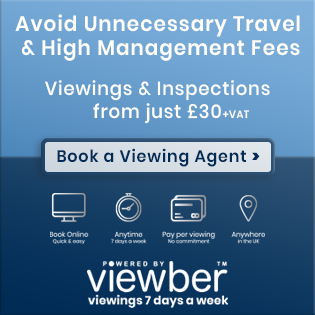 Holiday let app - Coponis - enhance your guest's stay with this brilliant app. Digital signatures - we recommend Signable. Vanessa's proven "Offer Letter" to put an offer in writing. What do you think is missing from this ToolKit? All suggestions gratefully received! We have a page on Property118 which contains details and links to ALL Landlords Associations if you would find that useful. Please feel free to use the list we compiled list to update your toolkit. You should get some useful SEO from this post. Thanks for the additions Mark. The intent behind this post is to create a community-generated Landlord ToolKit for the benefit of all landlords who are struggling to find support & advice. The Landlords Portfolio Review Spreadsheet I created is available for download free of charge if anybody would like to get hold of a copy. Vanessa your suggestions are excellent as always. However the major problem that exists is that LL come after this information after they have become LL. This is really too late! How do we ensure that this brilliant info is advised to prospective LL BEFORE they become one. I would conjecture that most LL about to become LL would change their way of doing things if they read up on your suggestions plus reading up on all the fantastic info that is available on this and the sites you suggest. Invariably such info that is available will change so many of their investment decisions before they make them; BUT they don't because they DON'T know about this info. Google doesn't occur to quite a few LL before they enter the market. Indeed I would suggest that most LL enter the market with a paucity of knowledge when a little bit of research would have revealed sites like this and others you have suggested. It is obviously great for existing LL to become more knowledgeable once they are LL; would it be so much better if they were knowledgeable before they became LL!! An informed investor who is about to become a LL is surely better than an uninformed investor!? How do we get the message out to all the people thinking of becoming LL before they actually do so that that they truly know what they are getting into!! These prospective LL read misleading press articles like in the recent DM article which does NOT in anyway give them the full info about this game and yet a few clicks onto the PT site and the true story about the LL game is revealed in all it's glory!! !...........................the horrible stuff and the good stuff! Coming across info late after you have joined the party can be quite disheartening and I'm sure many existing LL think about sites like this; that if only I had known about sites like this I would have done things differently OR not even become a LL!!! The vast majority of prospective LL will be the private individual releasing capital out of their residential property to give more income. These people are in no way what you could call professional investors and yet these are the ones that need to be fully informed BEFORE they attempt to become LL. How to ensure these people are fully informed before they enter the property market is a very big conundrum. Responsible lenders could do no worse that advising their prospective borrowers to ensure they are sure about what they are doing by using sites such as this. It wouldn't cost the lenders a penny and they would then have applicants coming to them who are now fully aware of the pitfalls...................................or is that the problem; lenders don't want prospective investors to know about the issues!! !............................................cos they might not go ahead with investing and lenders love to lend to people who have lots of lovely equity in their resi property whether they know anything about being a LL or NOT. Am I being too cynical here!! !.........................I don't think so! You summed up the dilemma so well with your final comment of 'no one can afford the price of ignorance'..............................................that says it ALL really! ; but how many prospective LL would appreciate such a wise comment..
(31-05-2013 05:50 AM)paul_barrett Wrote: However the major problem that exists is that LL come after this information after they have become LL. Yes good point - many people almost fall into it in middle age when they tire of the `job` thing. It was not high on their radar until they realise traditional pension schemes are not all they are cracked up to be. Is the school curriculum too early to have LL lessons on? How many budding LL would there be at an earlier age if at least some entrepreneurial input was delivered in the classroom. Ok they may not have the cash at 20 to buy their own but they could learn the trade and perhaps JV. Or simply bide their time till they are 30. saving not spending their job income and get ready to leap onto the stage then. 10 short years working at a job beats 45 long ones so the incentive is there. I was taught in detail how to dissect a rat in biology - hmm never had the need or desire to touch a rat since. I like your idea of the lenders being involved in the education of landlords. Perhaps they could send applicants for BTL mortgages their own version of a Landlord ToolKit to help them find the advice and support they need? I am in conversation with John Heron, MD of Paragon at the moment, so I will see what he thinks of your idea. Interesting thoughts from both Paul and Vanessa. Mortgage lenders do send information about being a landlord to their customers, it used to be a CML guide but I'm not sure what they send these days as I've not taken a new mortgage for a couple of years now. There are really three issues here. The first is that when people receive their mortgage offers they are already very committed to proceeding with the sale. The paperwork included can be overwhelming so most landlords only read the offer letters and discard the T&C's brochues, the compliance related bumph, the insurance brochues etc.etc. etc. The second is that mortgage lenders want cross sales for themselves or have committed to intermediary introducers not to cross sell. What I mean by this is landlords insurance primarily. What the lenders don't want is their new customers finding a better deal on a Property Forum like Property Tribes or Property118 etc. Perhaps in the future landlords will be licensed? If they are I would like this to be licencing in the form of education as opposed to paying big fees to regulatory cops. I'm sure there is scope to beef up the NLA, LLAS or MLAS landlord accreditation schemes which are passportable between regions. If it was not possible to buy a mortgage, landlords insurance or let a property without being an accredited landlord this would solve a lot of problems for people in the long run. I think every landlord should do landlord accreditation whether they use a letting agent or not. This is because landlords can not divest their ultimate accountability for being a landlord to a third party. The bottom line will always be that they are responsible for repayment of any money borrowed and as the owner of the property they will also be accountable for health and safety and maintenance issues, e.g. 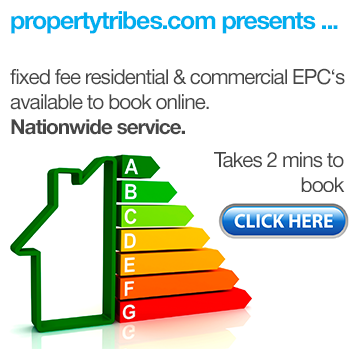 Gas Checks, electricity, fire risks, licencing, EPC's etc.etc. I love posts like this that ooze with value! As you would expect I would highly recommend the property podcast to be added to that list . Paul I think you make a great point regarding getting educated before investing but I’m sure you will be pleased to hear that the vast majority of newbie investors I speak to on a daily basis say they are reading Property Tribes, listening to our podcast and downloading our own free property investment tool kit all before getting close to investing. It’s hard to know where to stop with resources as there are tons of great books and blogs available too. Twitter should also be part of every investors "toolkit" too as some great knowledge and resources are shared there.